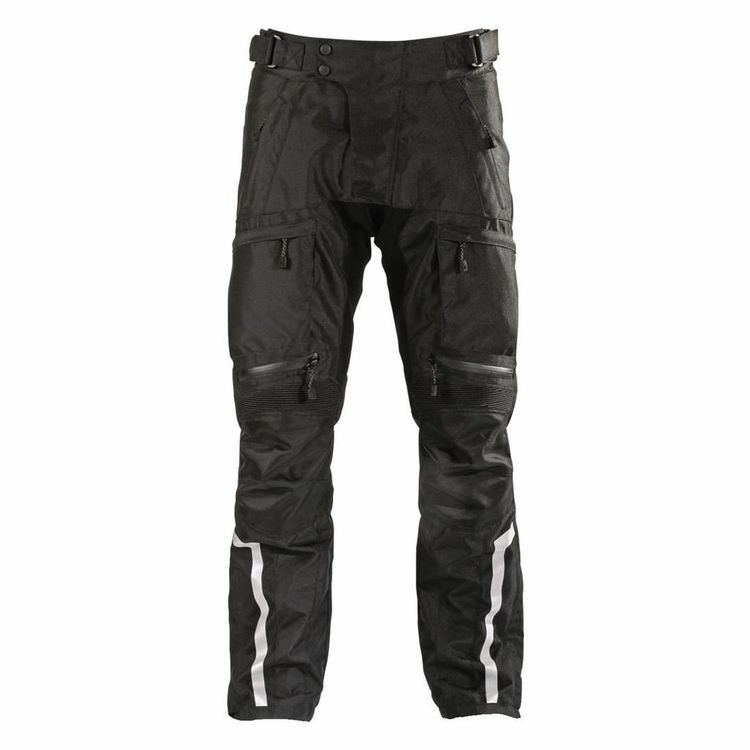 The Phantom Pants from Motonation has a shell of 600D poly and a mesh lining with 2 removal liners: the waterproof/breathable Reissa liner and a thermal liner. Horizontal open-air vents are positioned across the thighs, just above the knees with exhaust vents at the rear of each thigh. The knee and inside lower leg areas reinforced with highly abrasion resistant ballistic nylon, and the adjustable waist features adjustable hook and loop waist tabs. Zippers at the calves allow for easy entry. What armor will fit in these pants? Thanks. How well do they do in hot weather? I really don’t know I only bought these particular pair of pants for cold & wet weather riding, I’m still waiting for summer to come to Texas. Can I wear these as "overpants"? BEST ANSWER: You probably could get away with some jeans if you pulled the liners out. The waist has room for adjustment. They are really awesome pants - comfortable- fit exactly as advertised. If you remove both liners, yes. With 2 liners, they are designed to fit comfortably with both liners installed. The liners are very easy to remove and install quickly. I hope this helps. Will these pants fit over MX boots?